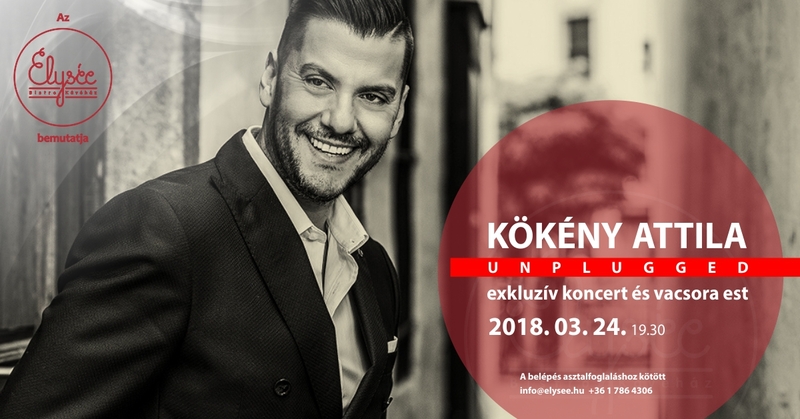 We will have Kökény Attila playing with his band this March. Come and join us on this event! Reservation is mandatory. You can make reservation either on info@elysee.hu, or by calling our number: +36 1 786 4306. Tables are only for dining guest! You can choose from the day’s special menu, three or four course meals. Vegetarians are also welcome! 3 meal course:10.900 Ft, 4 meal course: 11.900 Ft, these amounts include a welcome drink.